We are excited to launch our new bar menu. This has been created to be more suitable for guests who prefer a lighter meal. It’s also a great way to kick off dinner with a drink and a snack or even wind down with some friends after a long day at work. 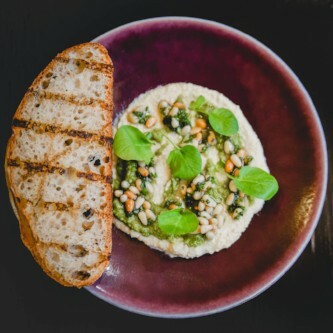 This inventive menu includes parma ham, feta, sun blushed tomatoes & micro basil; avocado & pomegranate salad (n)(v) quinoa, almonds, blueberry, honey, turmeric & yoghurt; squid, watercress & pepper mayo and prawns, chilli, lemon grass, coriander & brioche. Come & try, you will be delighted with the choice!